Were you aware that studies have found that people spend as much as 17% more per purchase when they use plastic instead of cash? Spending more on every purchase adds up over the years, and if you want debt solutions that last for life, be aware of how you spend your money. The reality is, skipping or not skipping the latte may not change your life. Neither will splurging on the better toilet paper nor even spending a little extra on gifts. But your awareness does matter. If you eat every meal out, buy only the finest items or make a habit of indulging your every whim you’re always going to run out of money. Here’s the deal, if every payday there’s money in our bank account, but it never seems to last long enough. Your first assignment is to track your spending for at least 2 weeks. In a little notebook, or by using a free Expense Tracker, make a note of where you’re spending your money. Being aware of the problem is the first step to crushing that problem. Creating a monthly plan for your spending is one of the smartest things you can do for your finances, yet it’s the most overlooked solution to most people’s financial problems. Having a spending plan or a budget (the technical name for a monthly spending plan) makes life so much easier because you’ve given yourself a roadmap to decide how you want to spend your money. Ironically, it’s also one of the things that you’ll likely never learn in a class at school but it should be mandatory. So to help with this lack of training, your second assignment is to outline your budget. A budget based on real numbers sets you up for success, so use what you learned when you tracked your spending. If there’s an expense you want to cut out of your budget, start by reducing it by half. This will tell you if you can stick it out for the long term. If you can make having a budget part of your life, you’ll know that you’ve passed this assignment successfully! Over the next month, identify areas of your budget that need some special attention. Look for ways to decrease your spending with your utilities. Do your laundry with cold water instead of hot; turn the heat down and the lights off when you’re not home. If you have a home phone as well as a cell phone, decide if you need both. Also identify products or services you no longer need but which you’re still paying for. Many people simply let their bundled services renew from month to month, even when their needs have changed. This might be because they’re too busy to look at their bills carefully, but taking the time to go through your bills line by line and calling the companies to make changes to service plans, or cancel services altogether, can find a lot of hidden cash. If you haven’t guessed it yet, your third assignment is to identify what expenses you can reduce and then create the plan to follow through with your changes. If you’re not sure where to start, here’s a list of our most popular money saving tips. You’ll know you’ve mastered this assignment when your bills get smaller and your savings get bigger. Routines can be hard habits to break, this free book Dominating Your Mind will help. Debt is like an armpit, everybody has one and they all stink! Is debt really that big a deal? It can be. If you got debt from one mortgage no big deal if you have debt from two mortgages on the same home that’s bad! 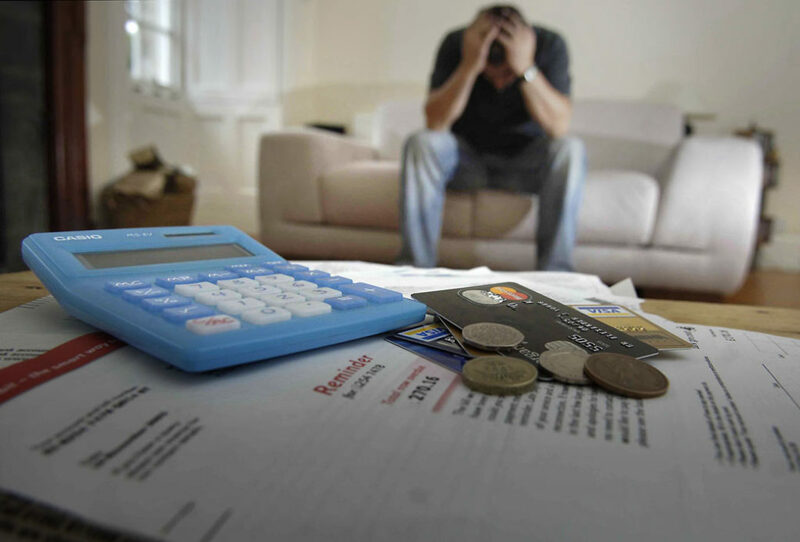 If you have debt that has slowly accumulated over a number of years, you need realistic debt solutions that work for your lifestyle, not quick fixes that you can’t live with for the long term. At some point, interest rates will start going up and eventually, your income will likely decrease when you retire. When either of these things happens, if you have relied on credit to make ends meet, you will find yourself facing some tough choices. Dealing with debt sooner than later leaves you with more options. That said, many people delay getting debt help because they’re either embarrassed or don’t know where to turn. You will only be able to pass this assignment if your plan is realistic and you draw on what you learned in the other five assignments. Sooner or later you may have an emergency. Life events can happen that change a person’s situation in an instance. Sometimes, through no fault of your own, you’re unemployed. Don’t let your credit plummet. When an emergency arises, your options are limited because banks will seldom lend to someone in that situation. Many turn to online loans.